That time of the year is still a few months away when major tech companies, especially Google, Apple, Samsung, and Microsoft, launch their flagship products. Much like last year and a year before that, Google is widely anticipated to launch the Pixel 3 in October this year. The speculations and rumours around the Pixel 3 have already begun surfacing online, giving some idea of what Google’s next flagship would look like. Among all the speculations, the strongest pointer that has bemused many people is whether the Pixel 3 would bear a notch at the top of the display or not. A new leaked image shows that the Pixel 3 won’t be Google’s choice to jump the bandwagon of notched displays yet. According to an image shared by a Twitter user @VenyaGeskin1, the Google Pixel 3 will indeed ditch the notch for a more bezel-reduced display in an edge-to-edge setting. While this image is too early to take it as something that gives a fair idea, it does offer a glimpse of the look and design of the Pixel 3. 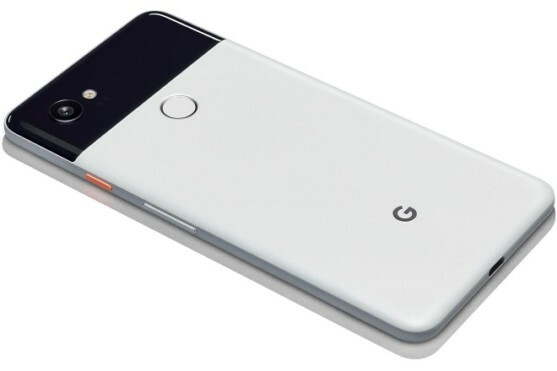 The image shows the Pixel 3 from the front with round edges and an all-screen display. The display doesn’t have a notch on the top, unlike the increasing number of Android phones that embraced the iPhone X-like notch despite mixed reviews. The Pixel 3 can be seen running on the Android P as there is a gesture bar at the bottom. Interestingly, the codes of Android P Developer Preview 1 spotted earlier revealed that the Google has considered the notch on displays of the future smartphones, which is why it introduced support for notches on Android P. Also, the screenshots of Android P show that the notification icons in the shade on the top of the display have been limited to four only, which is suggestive of the presence of a notch that Google could introduce with Pixel 3. However, on the contrary, the new leaked image shows Pixel 3 without a notch. The absence of a notch on the top of the Pixel 3 display fits the tradition that Google has been following since the launch of the first Pixel device – to take a detour from the usual trend in smartphones. Last year, Google did not pack dual cameras on the Pixel 2 despite the fad of two cameras on nearly all the smartphones including Galaxy Note 8 and iPhone X. However, the Google Pixel 2 supports Bokeh effect with the help of software optimisation. Apart from the look and design, there is a paucity of specifications and other features that Google Pixel 3 will pack. However, an earlier report suggested that Google will power its Pixel 3 smartphones with Qualcomm Snapdragon 845 processor.